We are is pleased to offer for lease 1561 Adelaide. 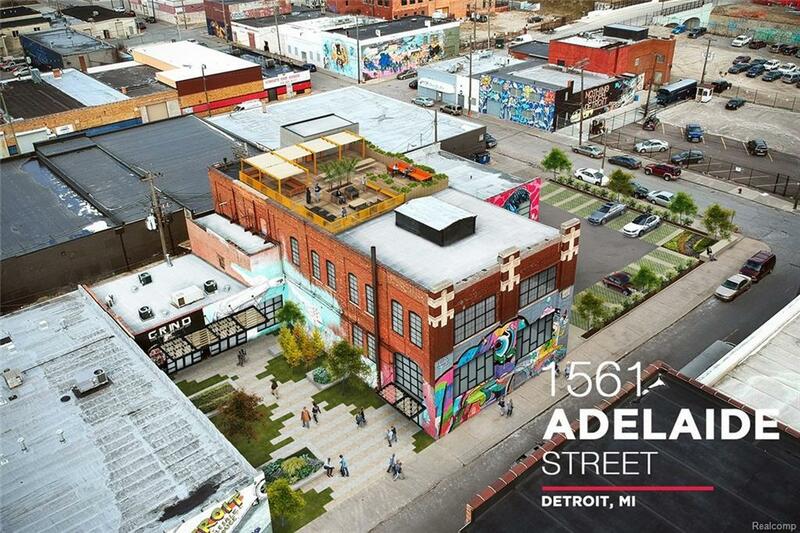 1561 Adelaide is a two story, historic brick building located in the heart of Eastern Market. Excellent space for retail, restaurant or creative office. Building features exposed brick walls, concrete floors and tall ceilings. Building features: 18,000 SF of retail, restaurant, and office space available, wide open creative work space with sealed concrete floors and exposed brick walls, situated within the heart of Eastern Market, just minutes from Detroit?s CBD, build to suit options.